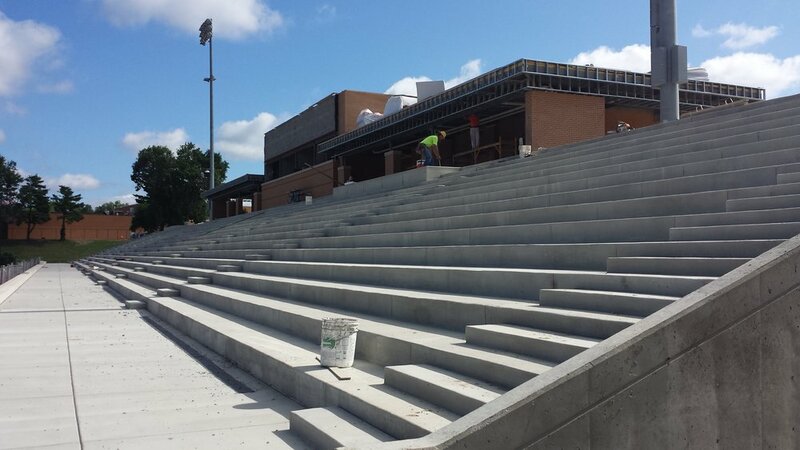 KIRKWOOD • The Kirkwood School District on Monday night chose a contractor for improvements to E.L. Lyons Memorial Stadium at Kirkwood High School, a project that has been revisited by the district several times since being introduced in 2012. The Board of Education voted unanimously to award the contract to Wright Construction, which submitted the lowest of 10 bids for the project. Mike Romay, the district’s chief financial officer, said he district had budgeted slightly more than $3.6 million for the project, which includes improvements to make the stadium bleachers accessible to people with disabilities, additional restrooms and concessions, a new press box and various improvements like new fencing and walkways.